It’s easy… tell them that their Bible translation is being used and that people’s lives are being changed by it! We keep hearing good reports about the Palawano church back in our village. People are reading and teaching the Word of God, using their Palawano New Testaments and the Talking Bible audio players. This thrills our hearts. Recently, we received news about how a number of Palawano young people (late teens or early 20s) are being impacted by the Word of God. These kids were not even born when we arrived on Palawan on 1982. They are the children of our daughters’ childhood friends. Through the ministry of another NTM coworker, these young people are finishing grade school and going to high school; some are even starting college! 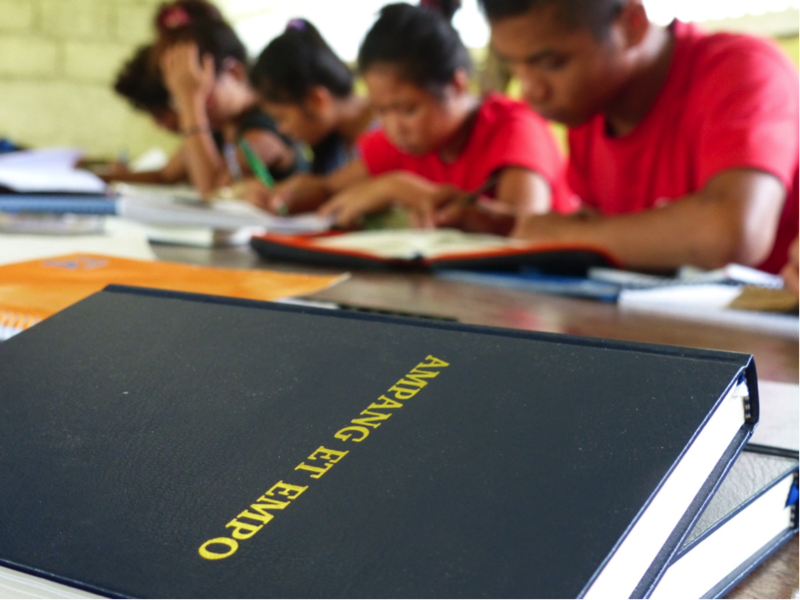 They are studying the Bible because they want to teach other Palawanos. Some want to go back and be school teachers in their home village; others feel called to the ministry. Lord willing, whenever our ministry travel takes us to the Philippines or that part of the world, we want to get to Palawan to teach these young people, as well as the Palawano church leaders. We’re so excited to share how the translation is bearing fruit! Meanwhile, pray with us about Bill’s upcoming trip to SE Asia in October. He will work with the consultants there to train both Asian and Western missionaries who are right on the verge of sharing Christ with several Unreached People Groups. There is still so much of the world to be reached. Yes, it’s all because of this book, the Word of God, which is now in the Palawano language. By God’s grace and through so many who partnered together over so many years, the Palawanos now have God’s Word, and it is changing lives! « Say What? When are you good enough?